Auburn, WA (July 15, 2012). Even though the speedy Italian Boy had won his three previous races by a combined 20½-lengths, there was still the question of whether the talented son of Tizbud could carry his speed beyond six furlongs. Coalinga, CA (July 1, 2012)-John Harris and Dave McGlothlin are pleased to announce the addition of Craig Allen and Brooke Fry to the staff at the Horse Division. From Betfair Hollywood Park Publicity INGLEWOOD, Calif. (June 29, 2012)—John Harris will be presented the ninth annual Laffit Pincay, Jr. Award during the Hollywood Gold Cup program Saturday, July 7 at Betfair Hollywood Park. 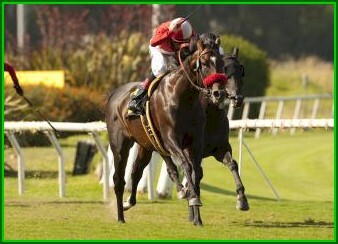 Pincay, a member of racing’s Hall of Fame since 1975, will make the presentation between the fifth and sixth races. The Pincay Award is presented yearly to someone who has served the sport with integrity, extraordinary dedication, determination and distinction. by BetfairHollywoodPark.com INGLEWOOD, Calif. (June 28, 2012)—Making his first start beyond seven furlongs since October 4, 2009, John Scott was a winner, defeating favored Rail Trip in the $65,930 feature Thursday at Betfair Hollywood Park. Sale will be held at the Alameda County Fairgrounds, Pleasanton, California beginning at Noon on Tuesday, August 14, 2012. June 13, 2012-Unzip Me, a 10-time stakes winner and one of the top female turf sprinters in recent years, has been retired, co-owner John Harris said on Wednesday. 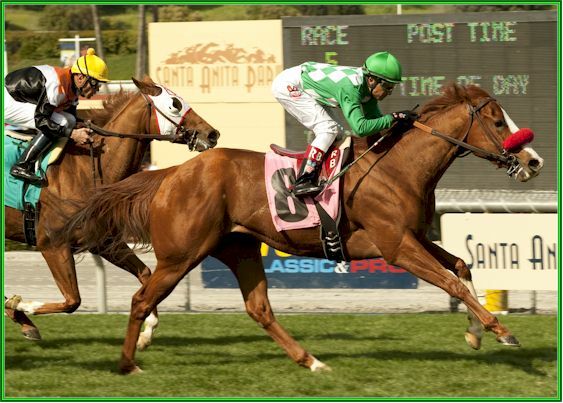 INGLEWOOD, Calif. – There was a time in the fall of 2009 that trainer Carla Gaines thought she could reach the top of racing with the California-bred John Scott. In his graded stakes debut, John Scott finished fourth behind the well-regarded Lookin At Lucky in the Grade 1 Norfolk Stakes at Santa Anita. “I thought I was going to the Kentucky Derby with him,” she said. INGLEWOOD, Calif. – It was as if they never left. 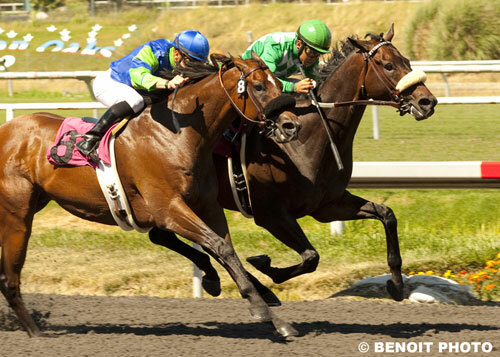 The 6-year-old Acclamation, the Eclipse Award winner as the champion older male of 2011 who had not raced since October, and jockey Patrick Valenzuela, riding his first race since May 19, teamed to win Saturday’s $250,000 Charles Whittingham Handicap at Betfair Hollywood Park. 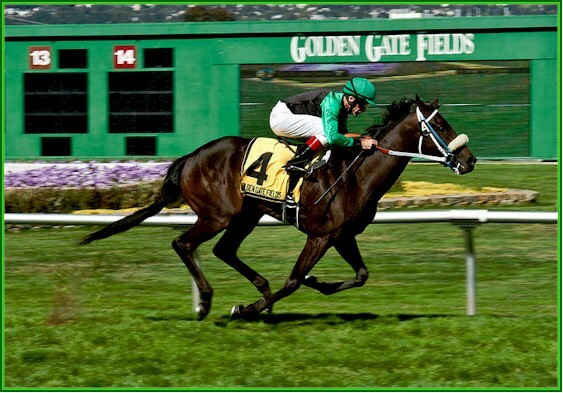 Best Present Ever recorded her third straight victory on turf Saturday when she humbled five opponents in the $100,000 Campanile Stakes at Golden Gate Fields.